Garden Cress, scientific name Lepidium sativum, is an edible fast growing herb. It is related to mustard and watercress, and they share the same peppery, tangy flavor as well as having a similar aroma. Garden Cress also goes by the names of mustard cress, pepper grass, garden pepper cress, poor man’s pepper, and pepperwort. Foliage is usually medium to dark green with a fine to medium texture. There are several main types of cress: garden cress (Lepidium sativum), Curly cress (Barbarea vernapraecox), and Watercress (Rorippa nasturtium-aquaticum). 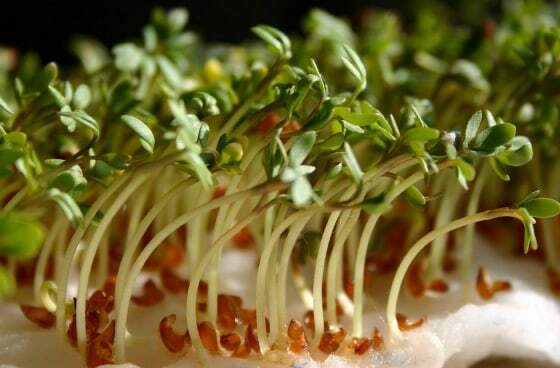 Garden cress is sometimes termed as the broadleaf cress as it has flat yet bright green leaves that are normally two inches wide and four inches long. Australian cress is another term for the golden-leafed broadleaf cress, which is an annual plant that normally thrives in damp soil. Curly cress has leaves that are finely divided, which somehow resembles chervil or parsley atop thin, branching stems. It is also called as early winter cress, cresson, upland cress, curlicress, moss curled cress, fine-curled cress, or extra-curled cress. Curly cress is a biennial that thrives in damp soil. The last type is the watercress, which is an annual plant that usually grows in water. It can also be pot planted indoors, in a tray of water or alongside of a watercourse or stream. Watercress can only be grown in soil that is in gently running water. Cress –no matter the type—is a fast growing herbaceous vegetable that needs to be planted in cool weathers. This plant is often used in gardening activities of young children as it can be easily planted by almost anyone. It can sometimes even be grown on a cotton ball, in a bottle, or in the traditional soil; as long as there is proper moisture for it to germinate. All parts of the plant, including the seed, are edible. This makes it a perfect ingredient to any nutritious and delicious salad green, especially for those who want to add a slightly peppery taste. If planted outdoors, crest should be planted in shade or semi-shade. Curly and garden cress are best to be planted in a moist, well-drained sandy loam. Watercress should be placed in a container of sandy soil that is submerged in running water. All in all, cress prefers a pH that is not too acidic, with pH 6.0 to 6.8. Majority of cresses are actually cool-weather season annuals, which is why it is perfect to be planted in the garden in as early as four or six weeks before the last frost date. However, it can be grown indoors all year round, as cress loves well-shaded locations. When remained in a temperature 45 degrees Fahrenheit, expect germination to start from 2 to 14 days at a temperature of 55 to 75°F (13 – 24°C); germination takes longer at cooler temperatures. Sow curly and garden cress seed (up to five years old) at about ¼ inch (6 mm) deep, thickly planted in rows in a small patch of about two square feet (0.2 sq. m). 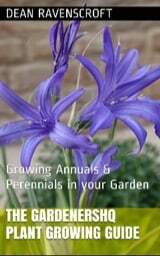 Ideally make successive plantings every 15 to 20 days until warm weather occurs, planting can resume towards the end of summer when the weather cools again. Larger varieties of cress should be thinned and spaced in rows about 18 to 24 (45 – 60) inches apart. Intercrop by growing with carrots, radishes, and other salads crops such as Chard Plants. Grow watercress in water-submerged containers. 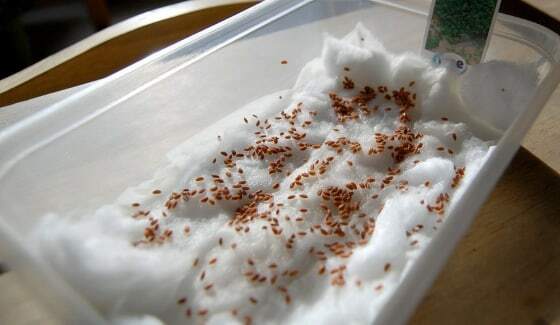 Although cress is one of the easiest plants to grow[http://www.gardenershq.com/Low-Maintenance-Plants.php], making cress care a breeze, it requires soil that needs to be kept well-moist. Avoid letting the roots dry out and always keep the soil rich by adding aged compost or fertilizer. Grow watercress in gently running water. The soil should be kept weed free and not have direct contact with the sun. Pinching cress back will help promote new foliage. To get the best of this plant, it can be planted along with chives, spearmint and peppermint, bunching onions and wintergreen. It can also be inter-planted with various kinds of small crops. There are no serious pest or disease problems that are known to infect cress. It is still advisable to maintain necessary precautions and always keep the soil clean and moist to prevent any possible pests and insects from damaging the plant. Sometimes Flea beetles can affect garden cress, these can be prevented by initially growing cress under cover and then removing the cover when the weather warms up. During harvest, pinch or cut out cress tips, as needed. Cutting should only start once the plant reaches three to four inches (8 – 10 cm) tall. Plants are expected to re-grow sooner when cut back to ½ inch (1.2 cm). Harvest cress before maturity, as they are most tender during this stage. Sprouts can also be used fresh. Cress can only be kept in the refrigerator for a maximum of one week.